💡 In Switzerland, many of these protection forests are named ‘Bannwald‘. Because the authorities knew something might be coming, the road below the rockfall area was closed, and luckily nobody has been hurt or killed. 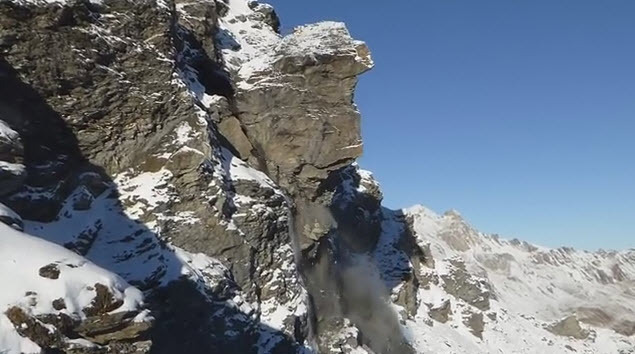 This entry was posted in Photography, Pictures, Switzerland and tagged Photography, Picture, rockfall, Swiss Alps, Switzerland by Erich Styger. Bookmark the permalink. Fantastic posting, I have only witnessed one slide, it pales by comparison to that one. Any idea the material makeup; granite, shale, slate etc. Looks like that is not the first major side for that section of the mountian.